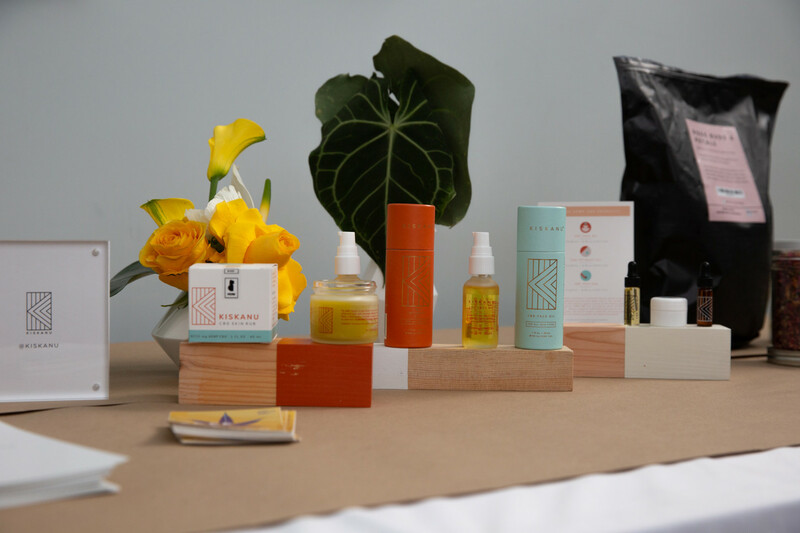 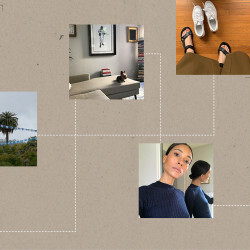 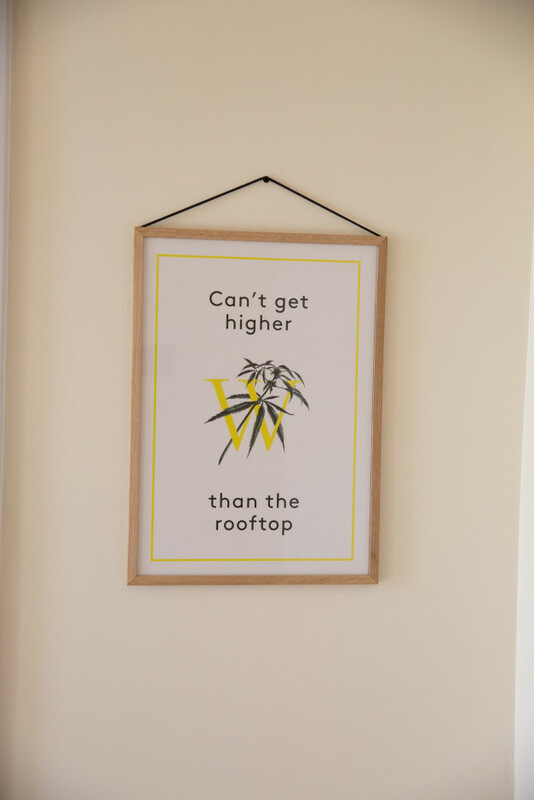 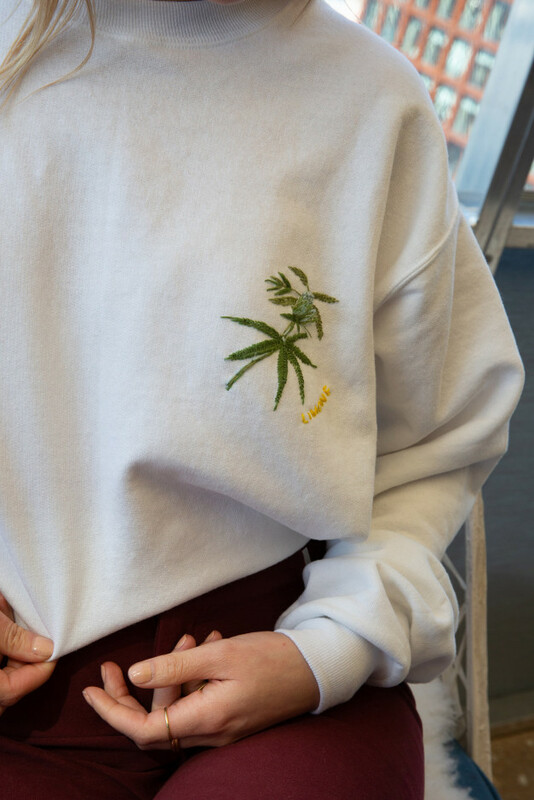 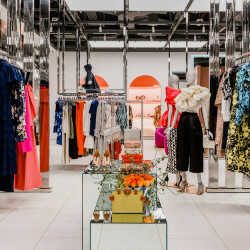 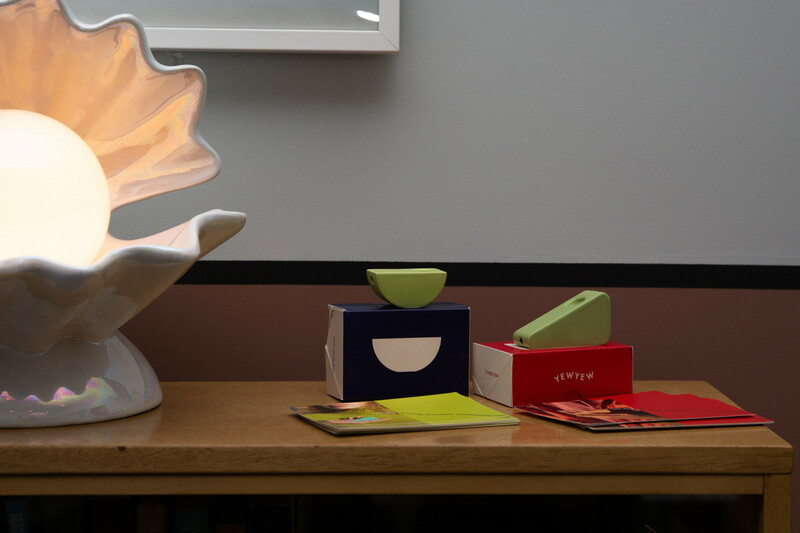 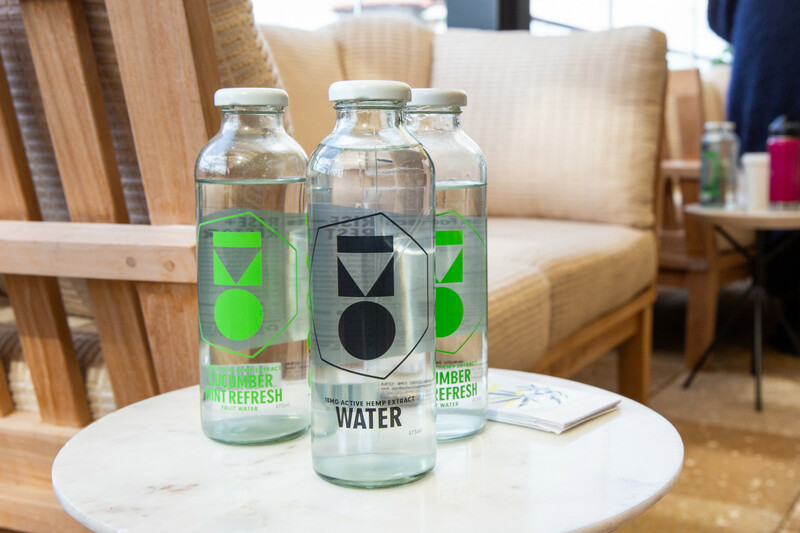 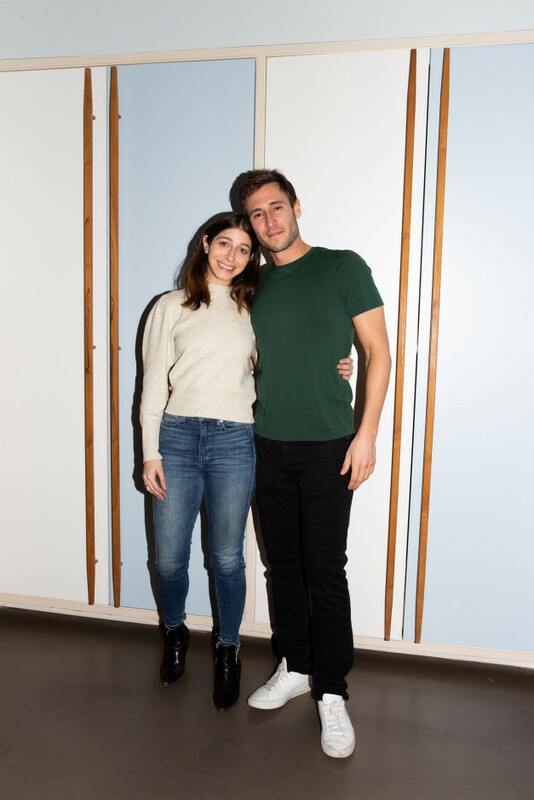 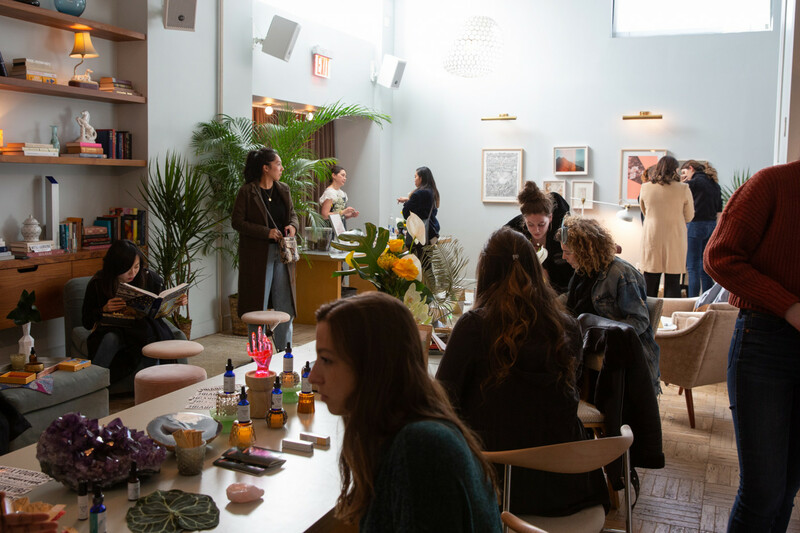 Empowering panels, palo santo-scented chill room, and CBD. 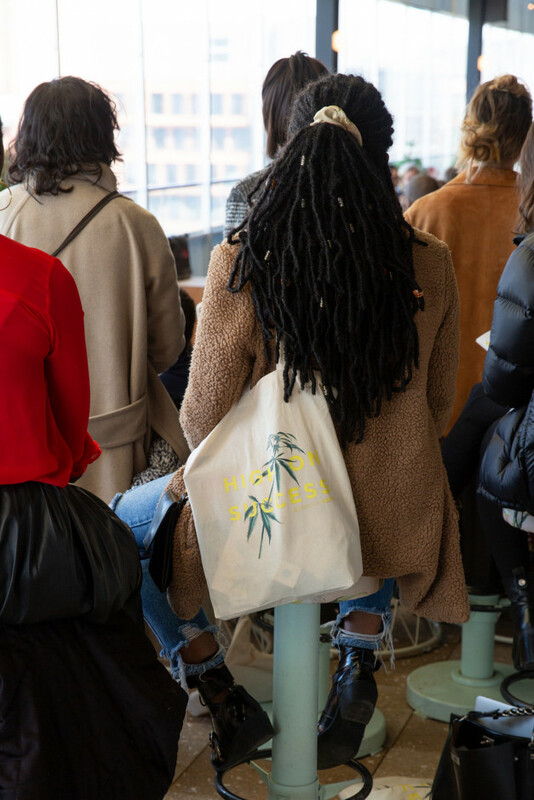 From the rooftop panel discussion on cannabis and New York State politics that brought us to tears and received a standing ovation, to the conversations overlooking the Manhattan skyline on CBD, building an inclusive industry, and closing the pain gap (to name a few) that were so packed we were grabbing seats on countertops. 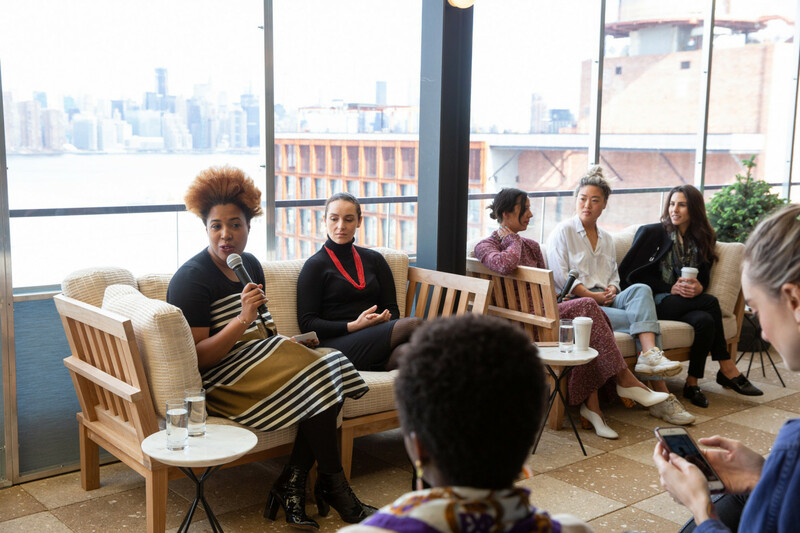 It was a weekend of education, empowerment, emotion, and overwhelming feel-good energy. 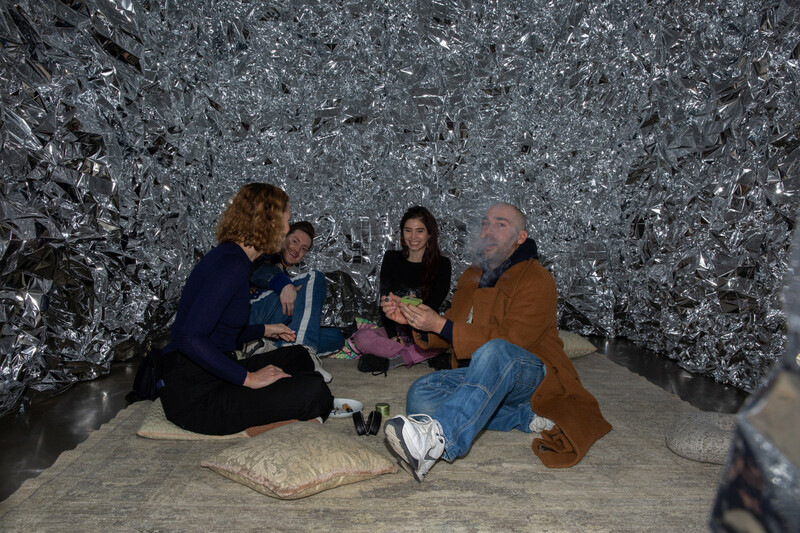 Between chats, attendees recentered energy with fire-side reiki sessions by Tonic Vibes and Barbari lavender and rose herbal pre-rolls. 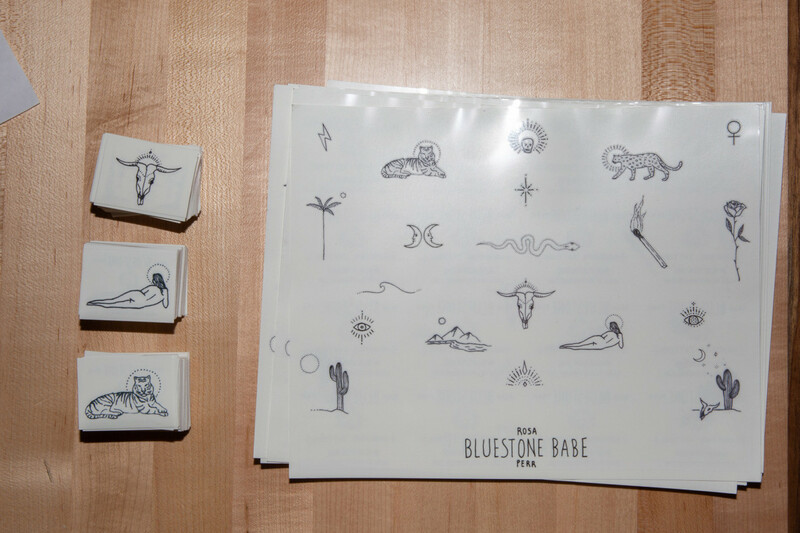 Or, for the adventurous, got hand-poke tats from none other than Bluestone Babe. 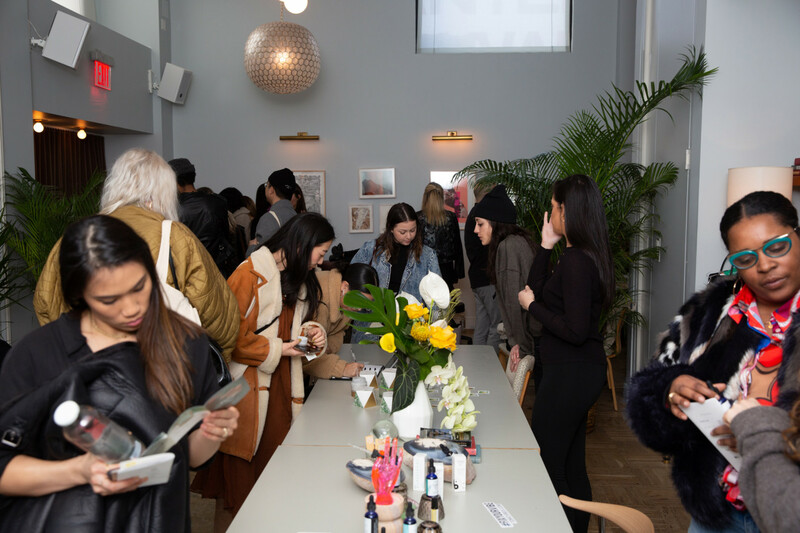 Poplar took over an entire room where Deanna First sketched the inimitable cool crowd—a take-home piece of memorabilia. 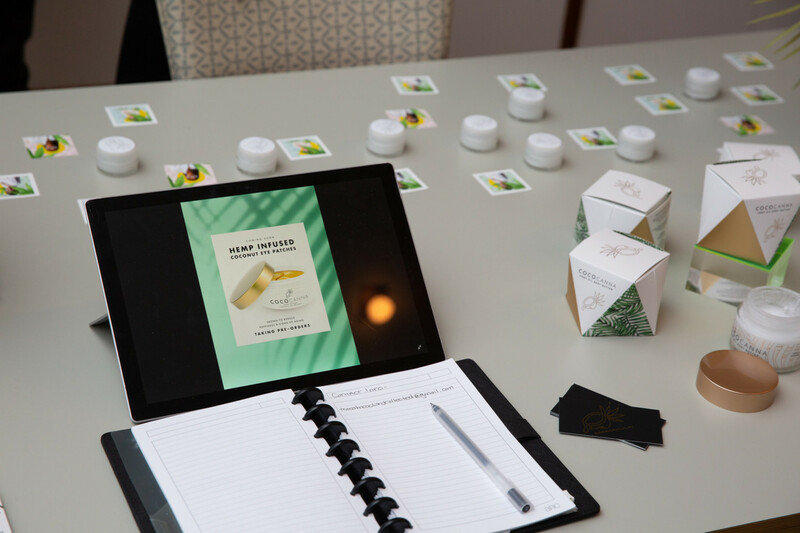 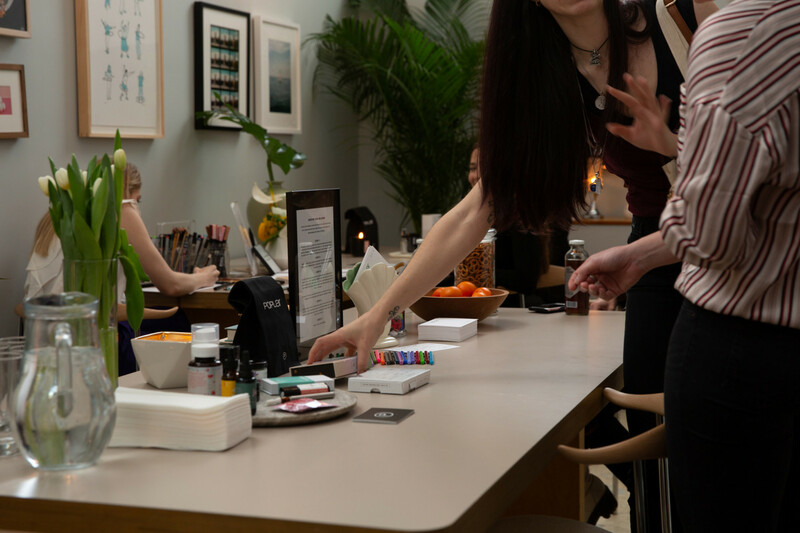 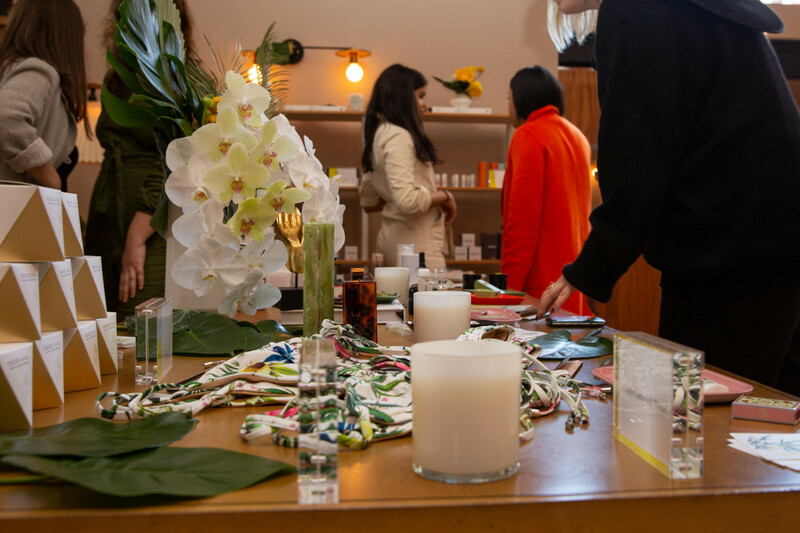 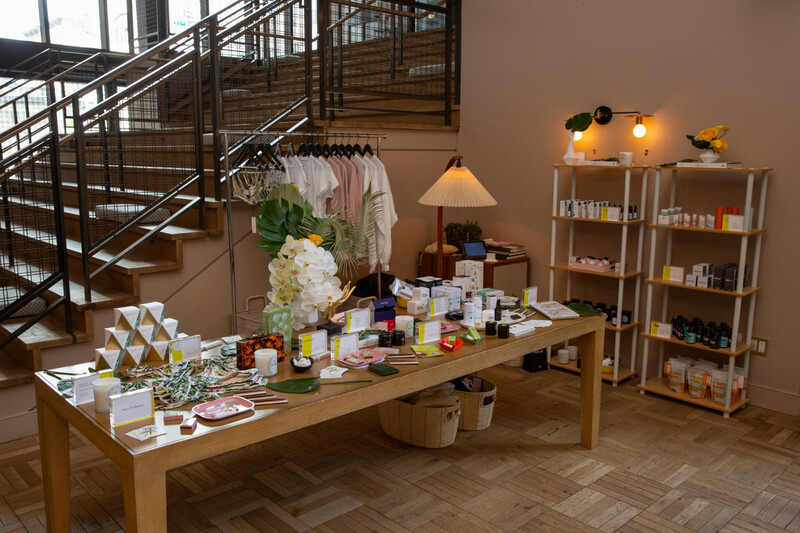 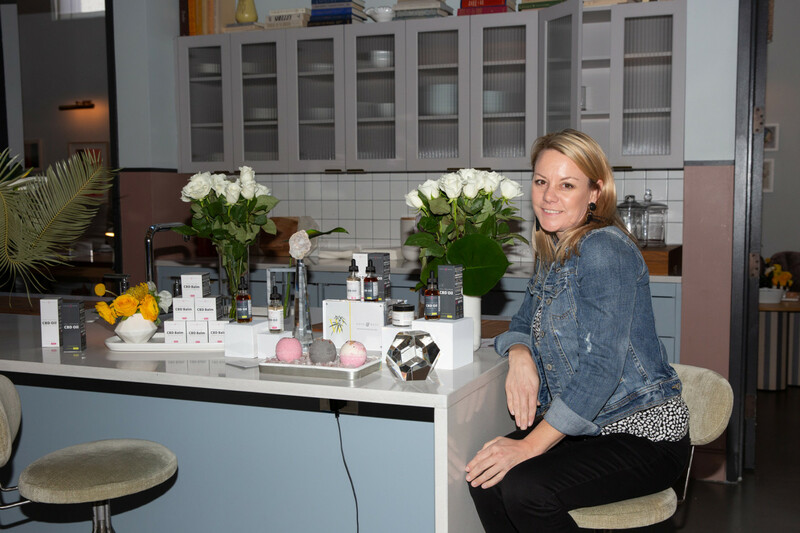 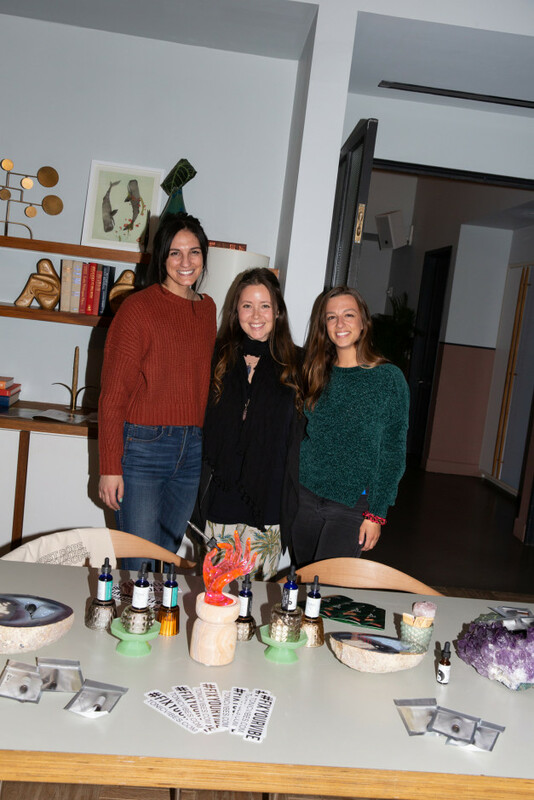 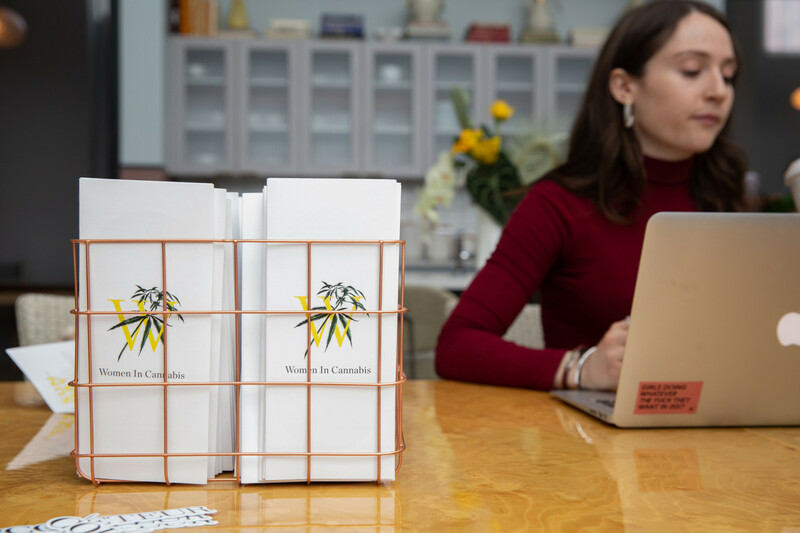 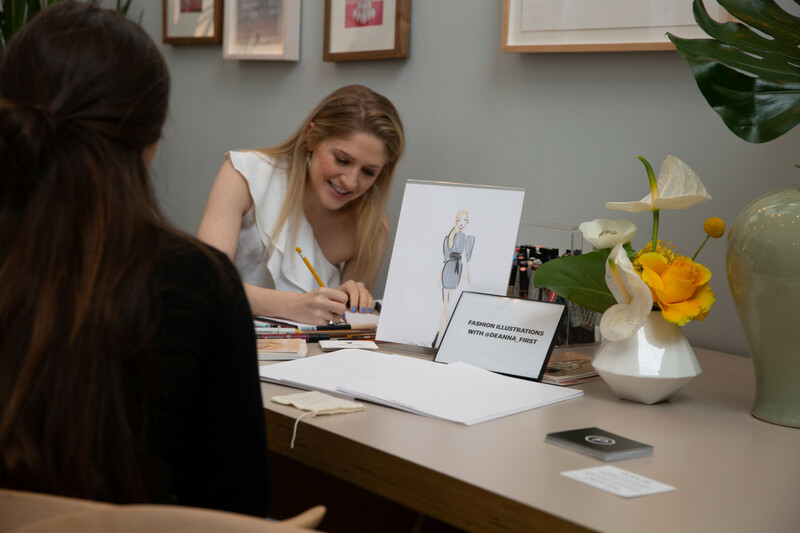 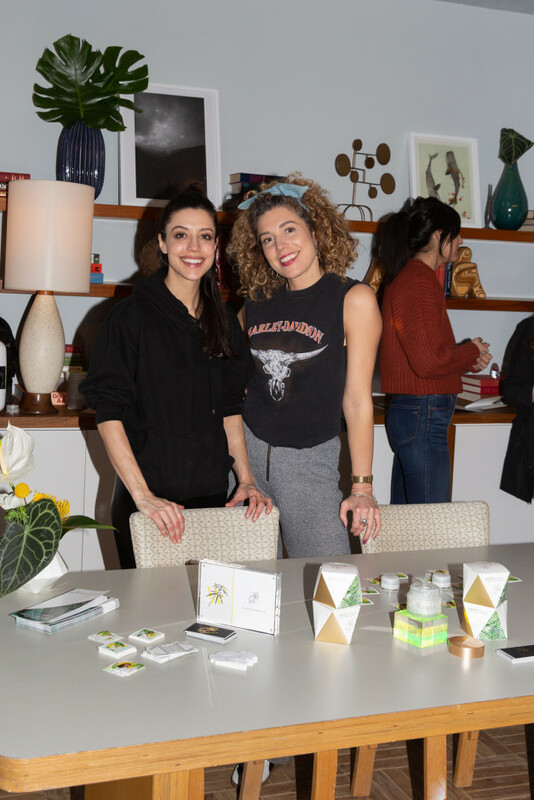 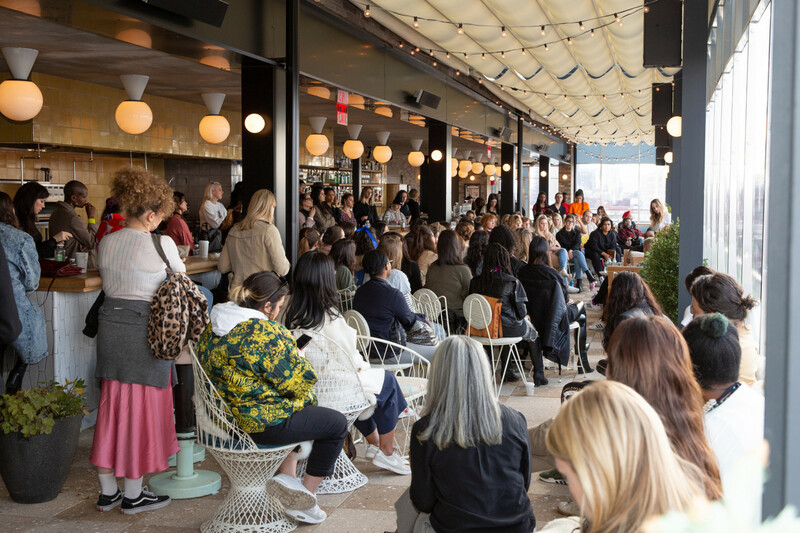 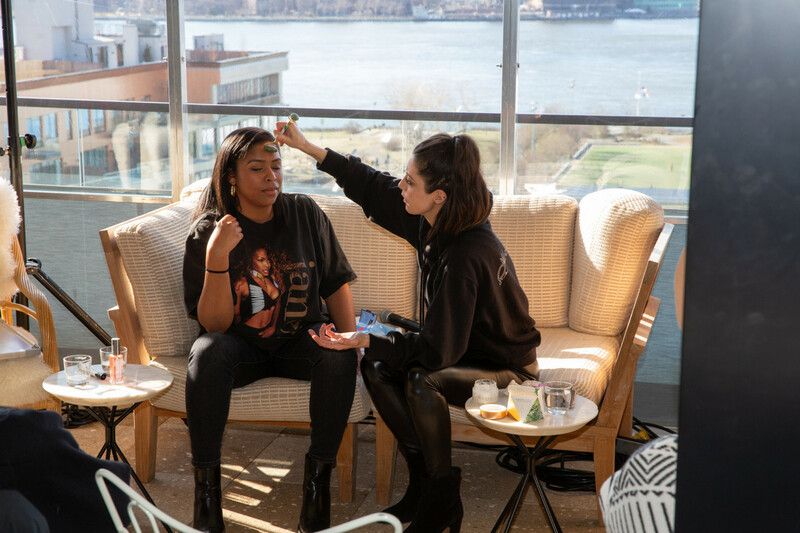 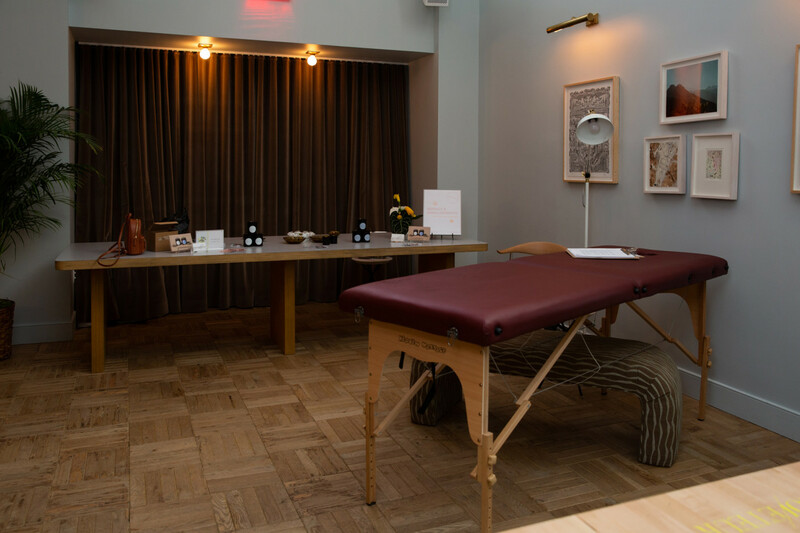 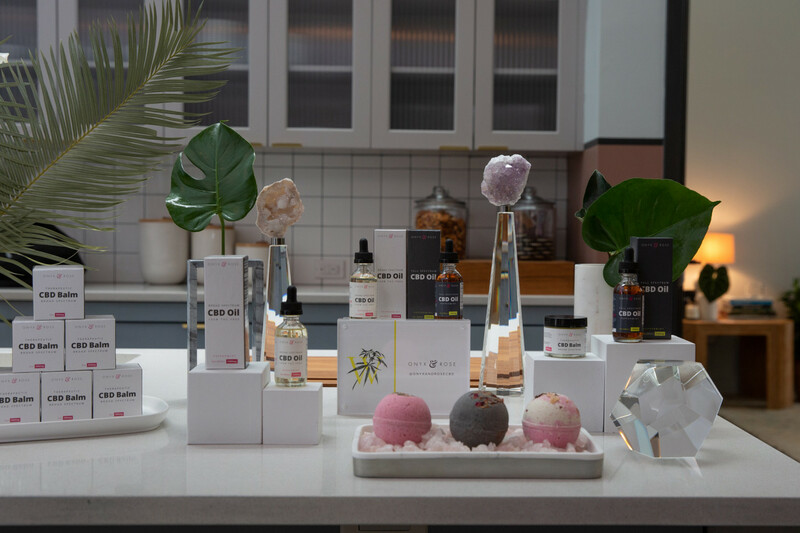 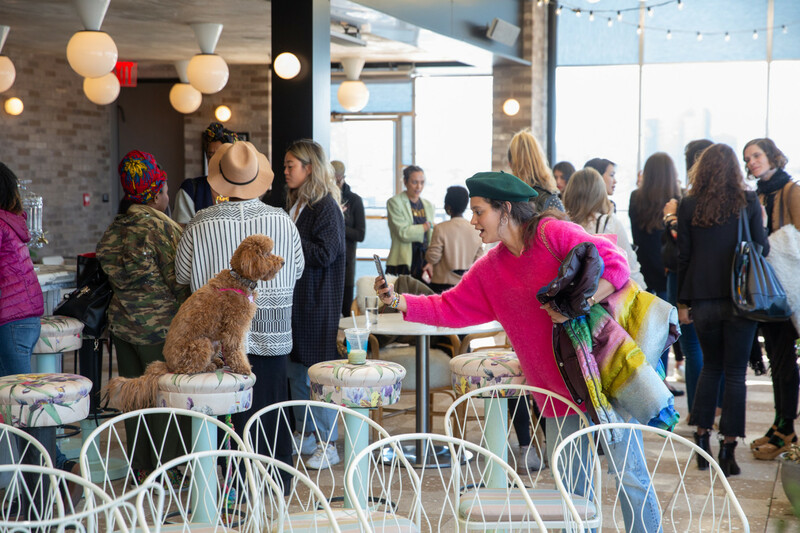 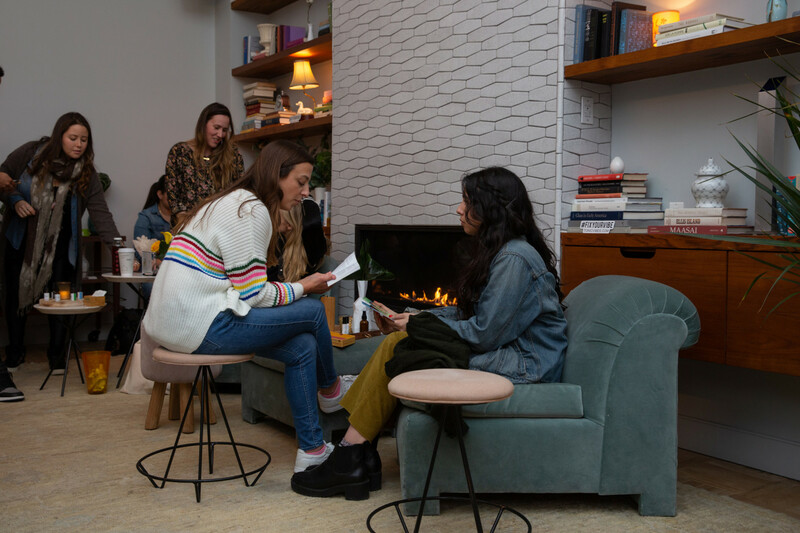 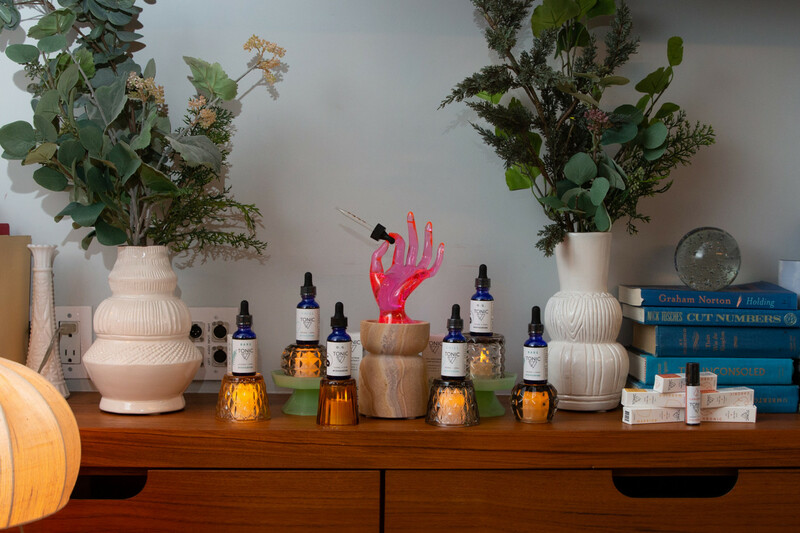 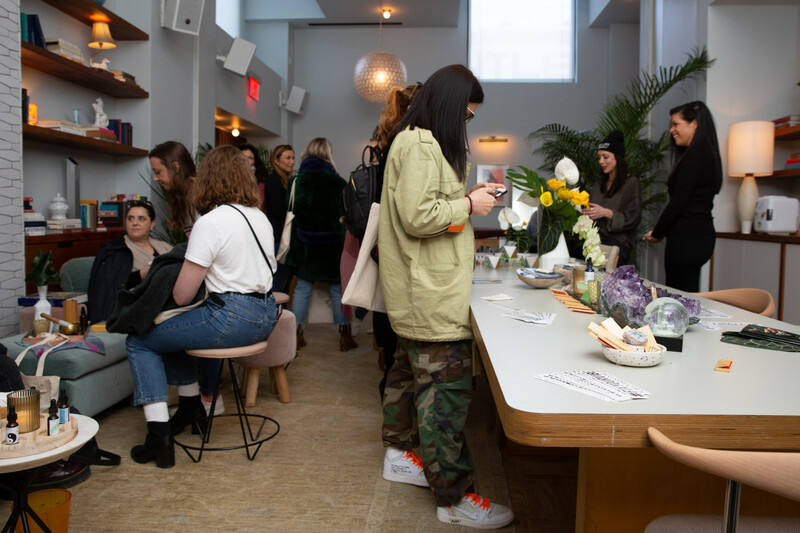 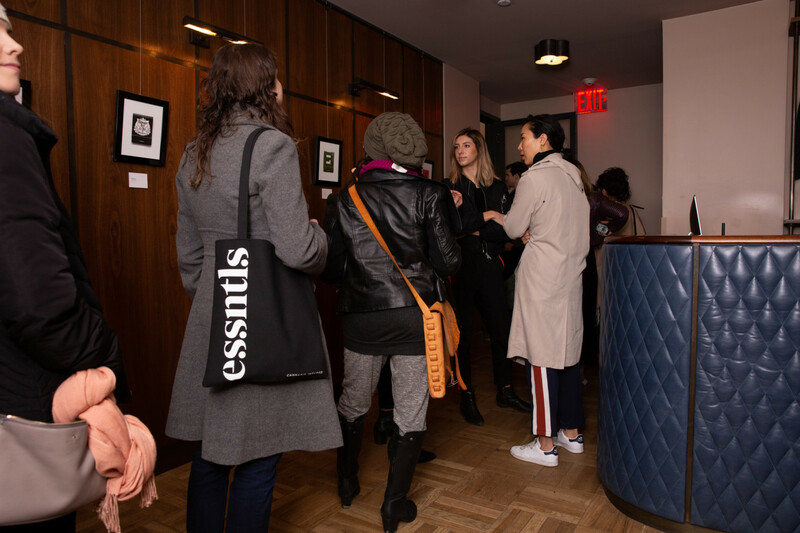 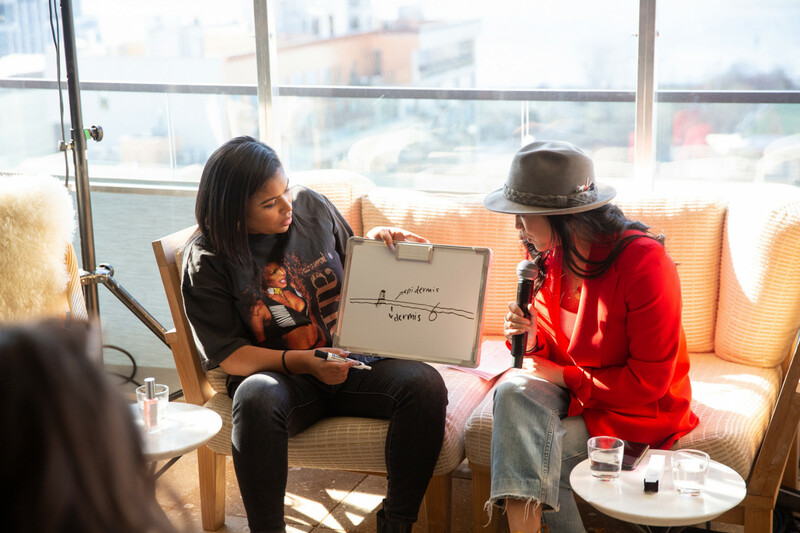 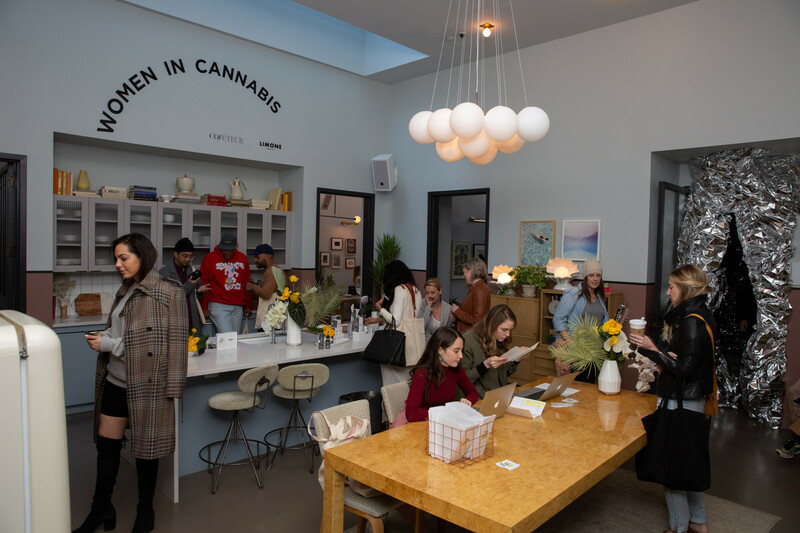 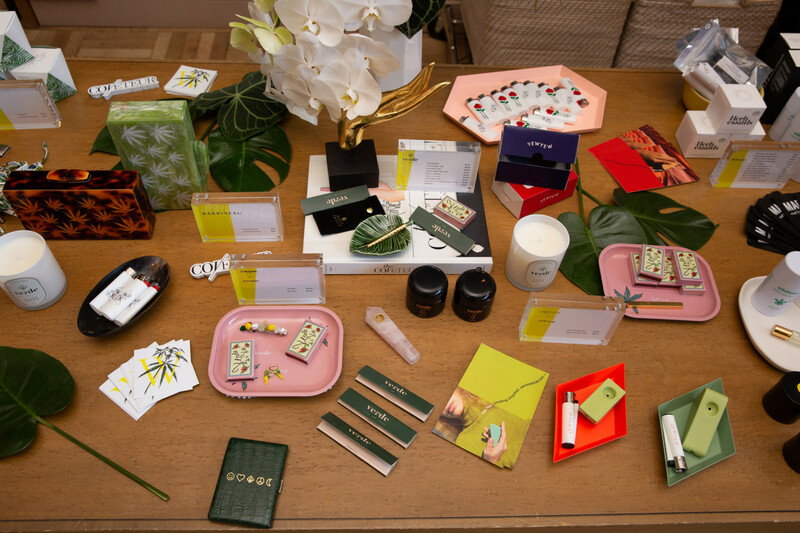 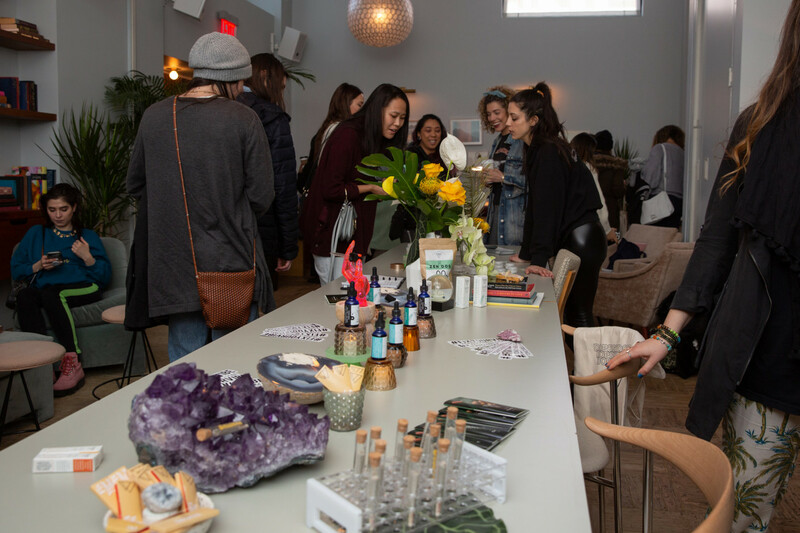 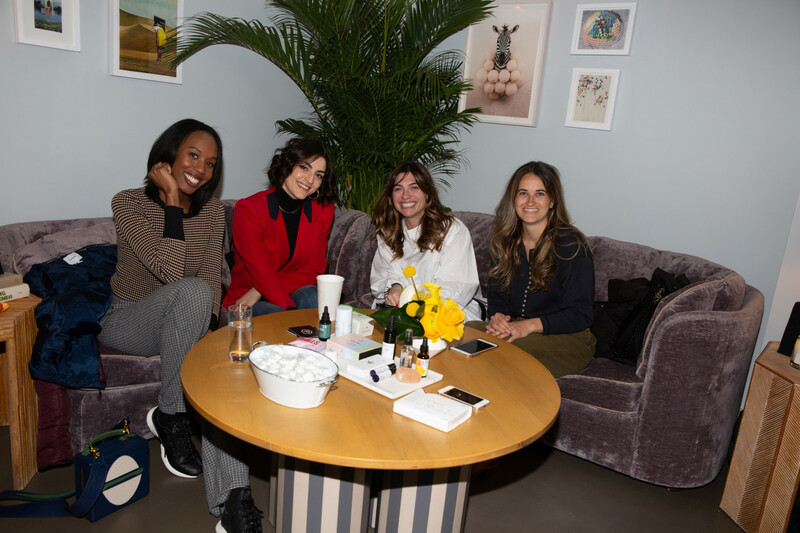 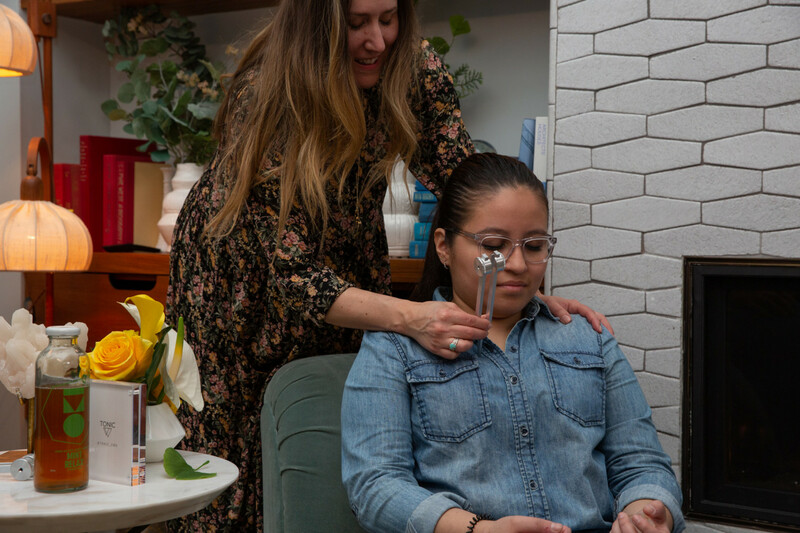 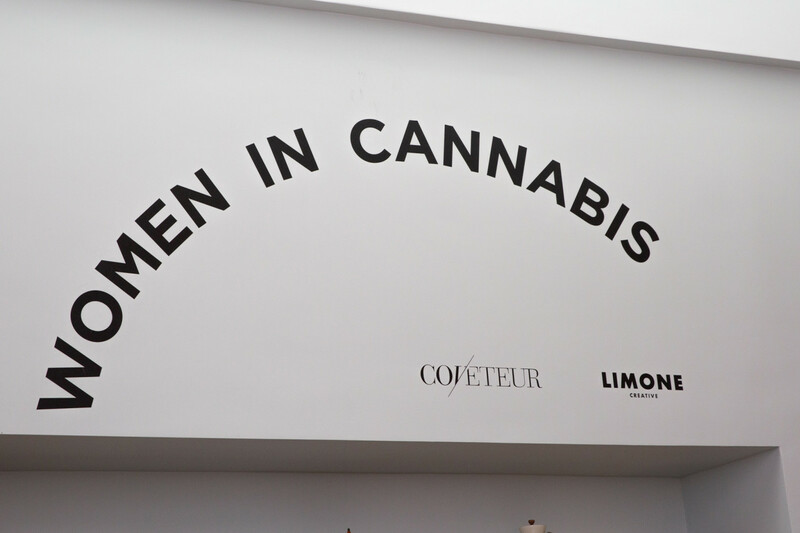 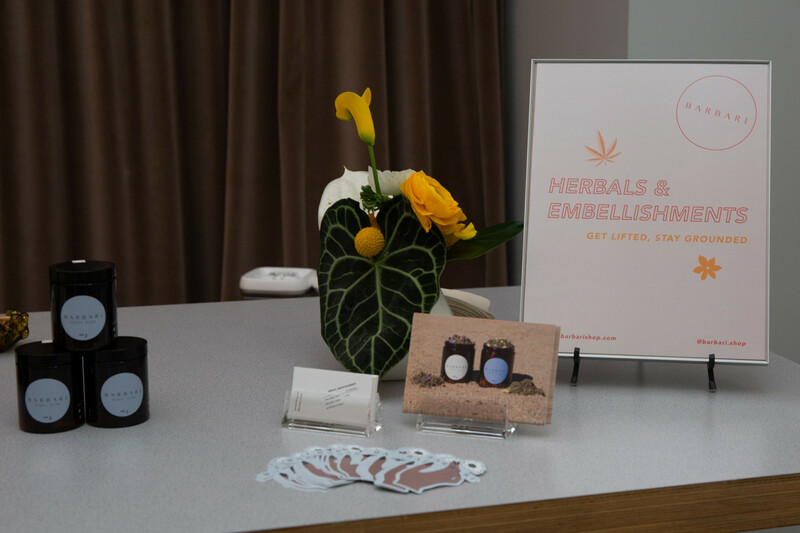 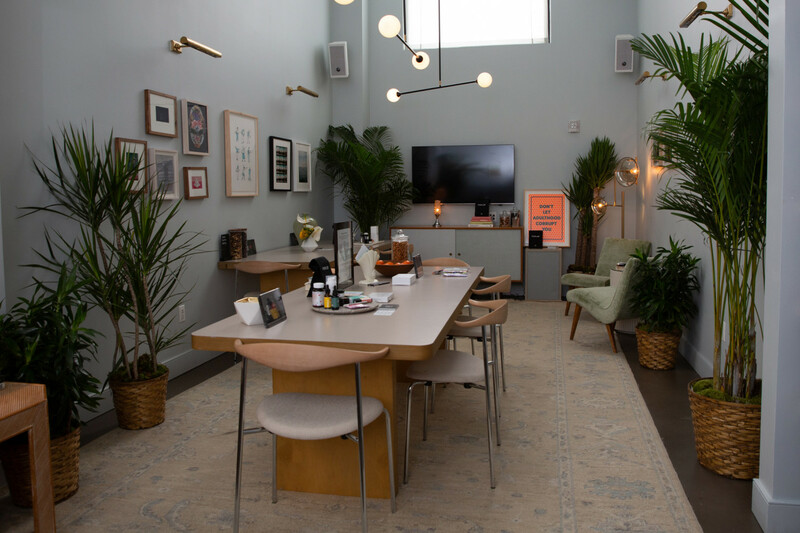 Just next door, Kiskanu gave CBD massages and Levo Oil concocted custom CBD lip balm on-site. 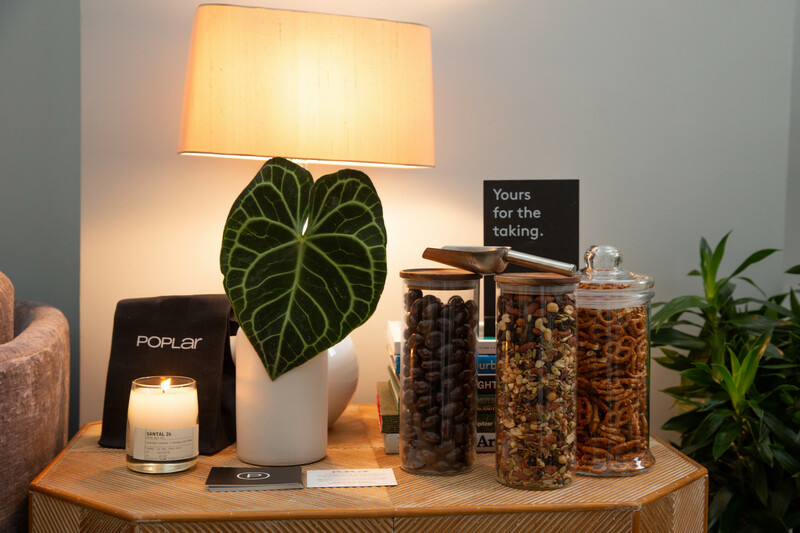 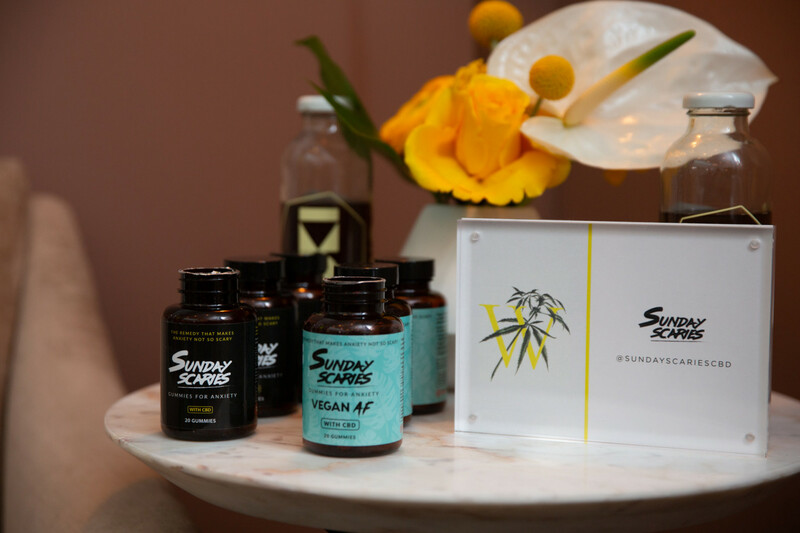 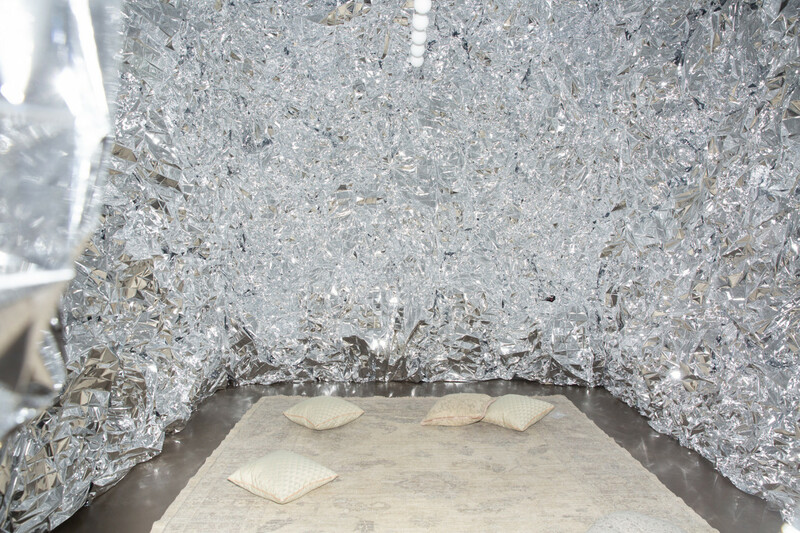 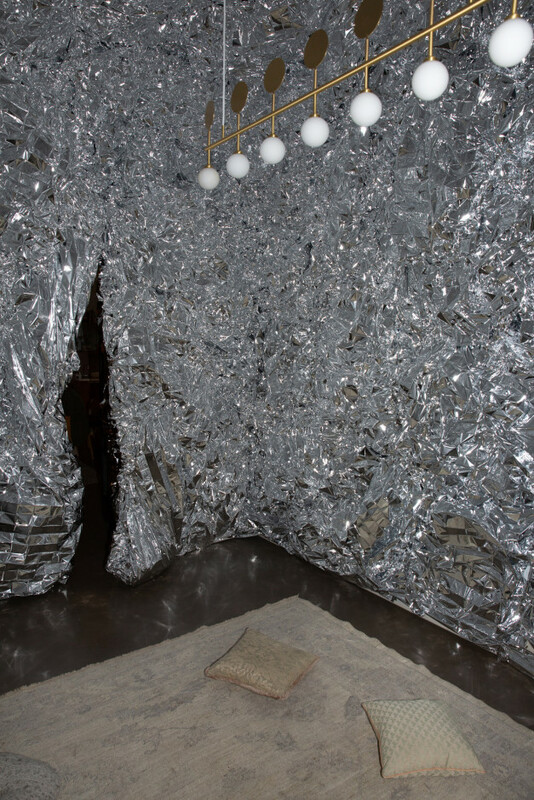 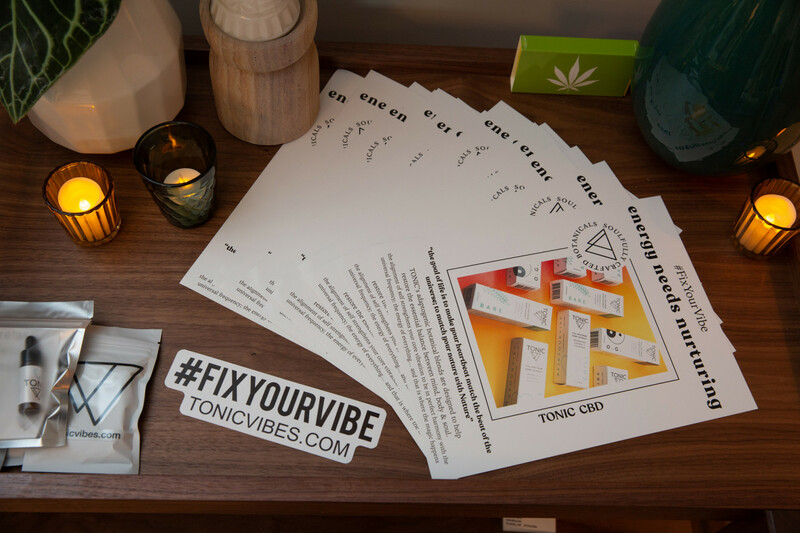 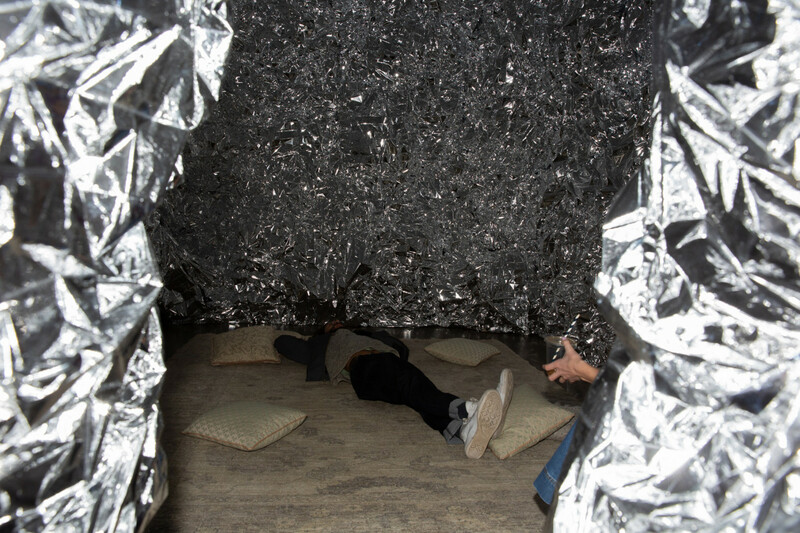 And just in case you weren’t zen enough, Sunday Scaries handed out CBD gummies before entering Grace Villamil x Yew Yew transformative multi-sensory respire room to escape the crowd and find your inner zen. 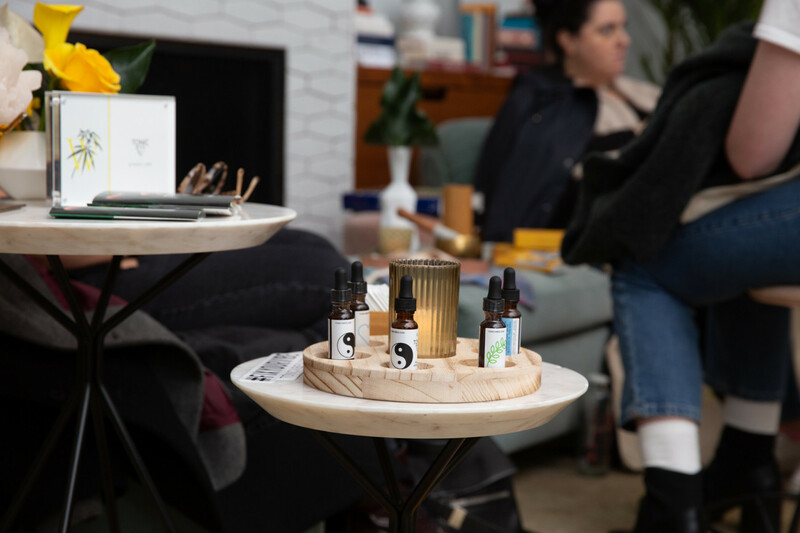 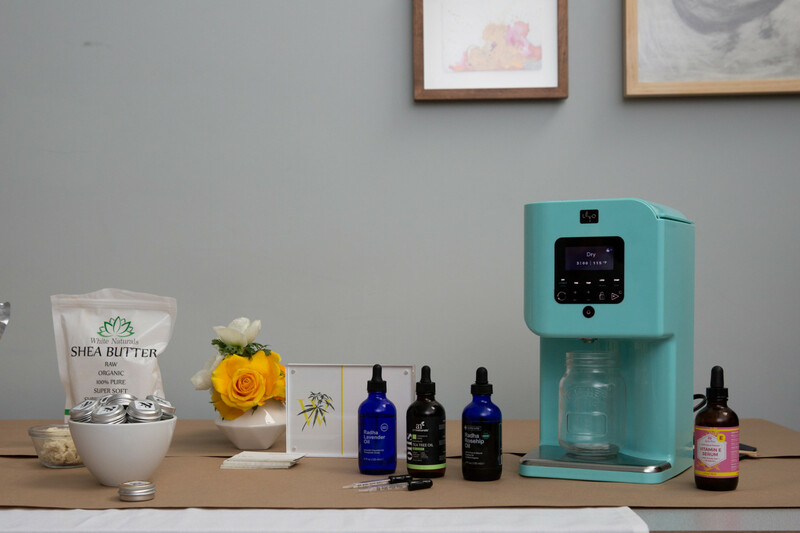 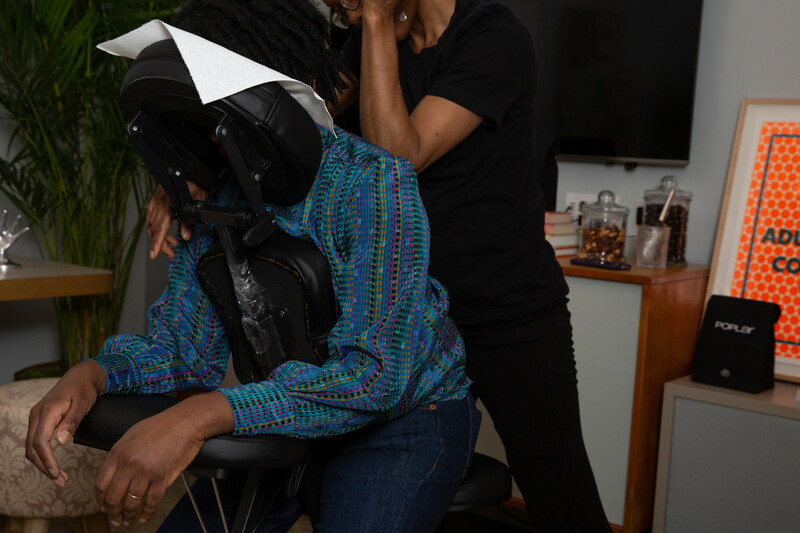 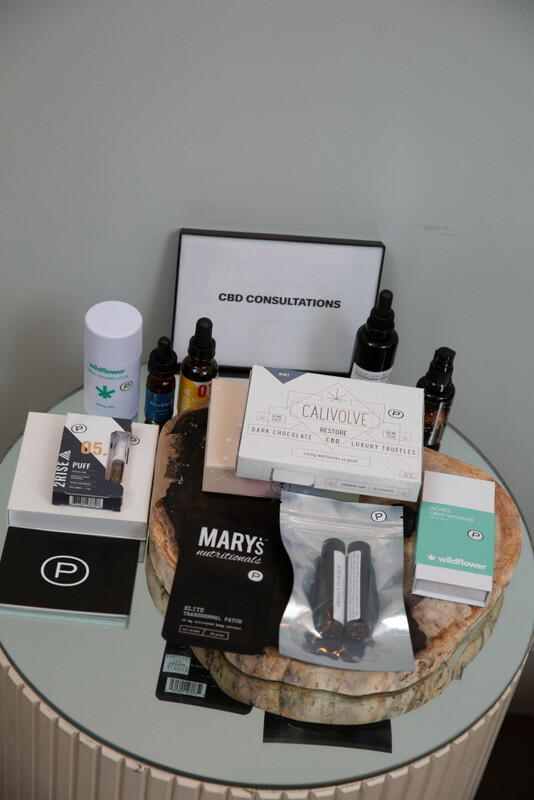 Let’s also talk about all the test-and-play stations: tinctures by Onyx & Rose, CocoCanna CBD-infused coconut oil (and jade-rolling facials), Papa & Barkley hemp-infused drops, all with an Oki water in hand. 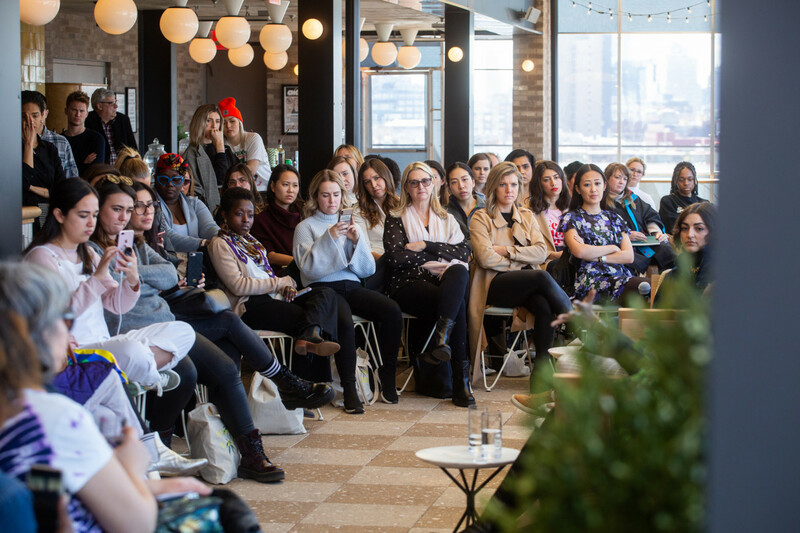 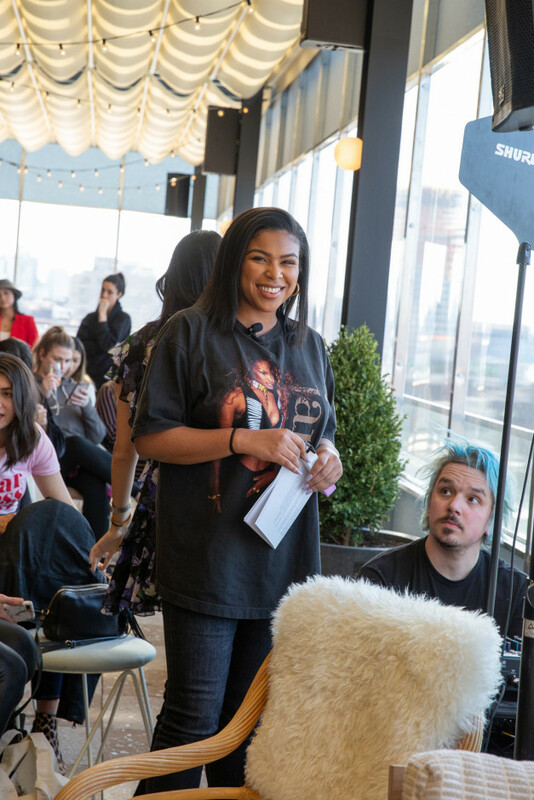 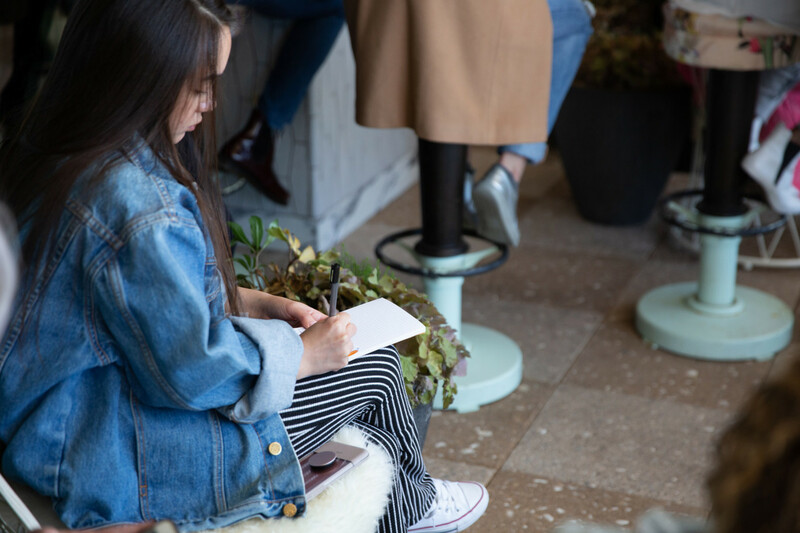 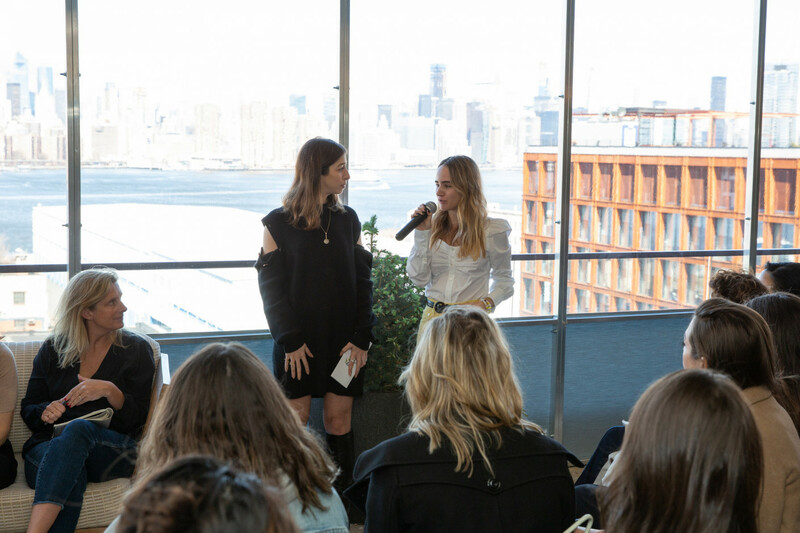 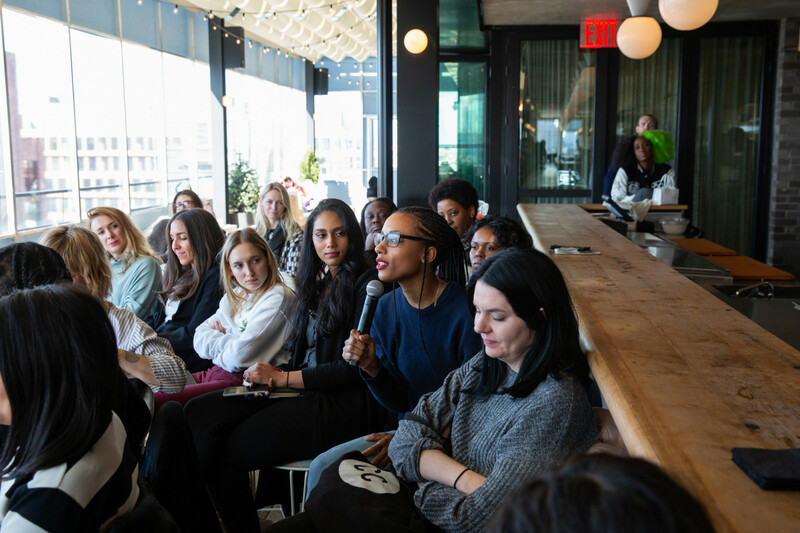 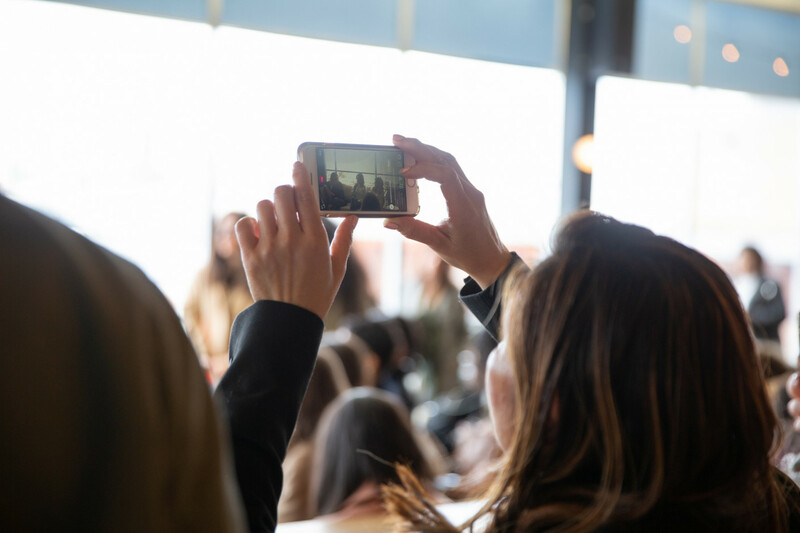 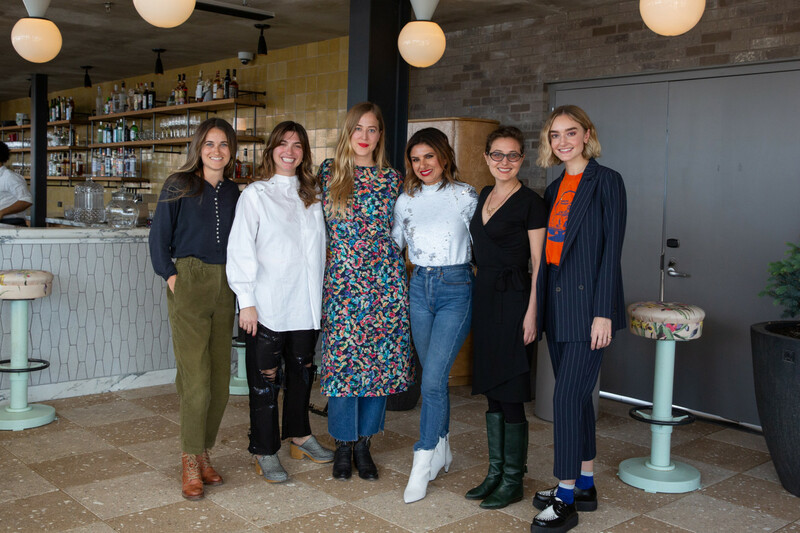 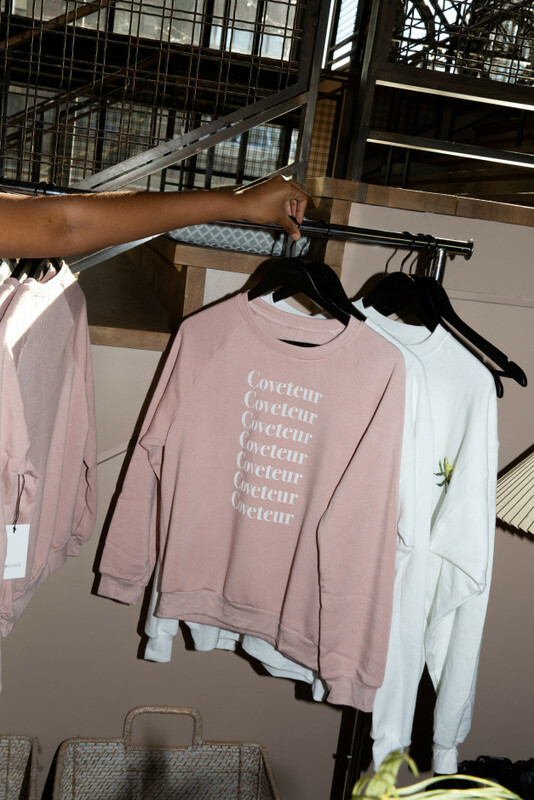 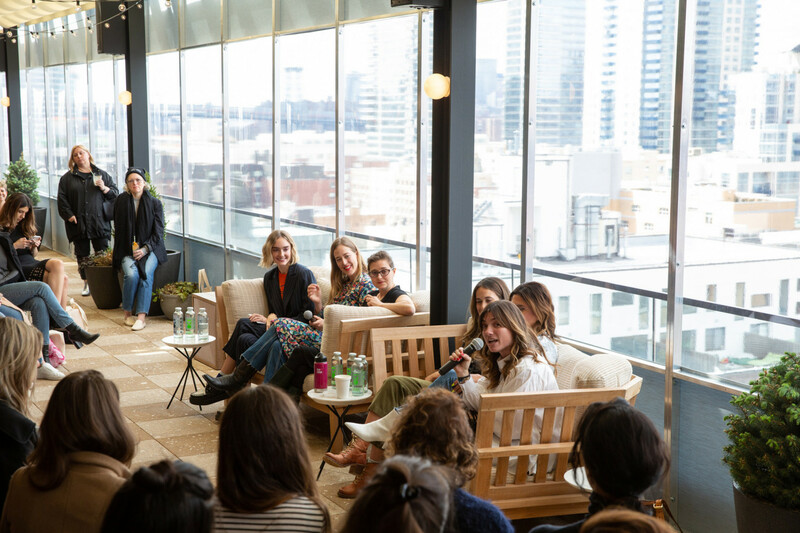 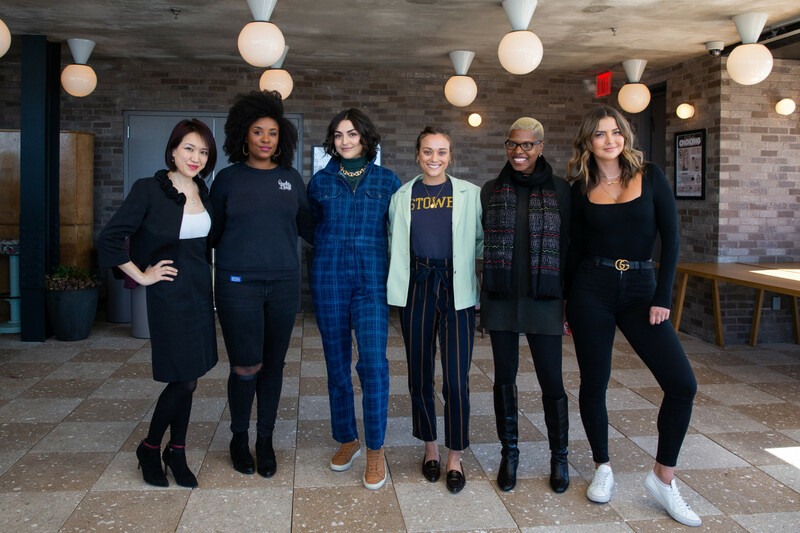 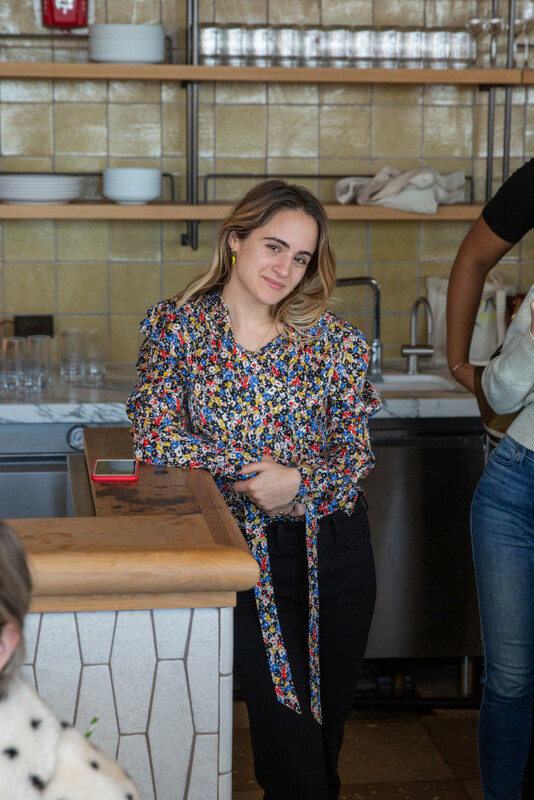 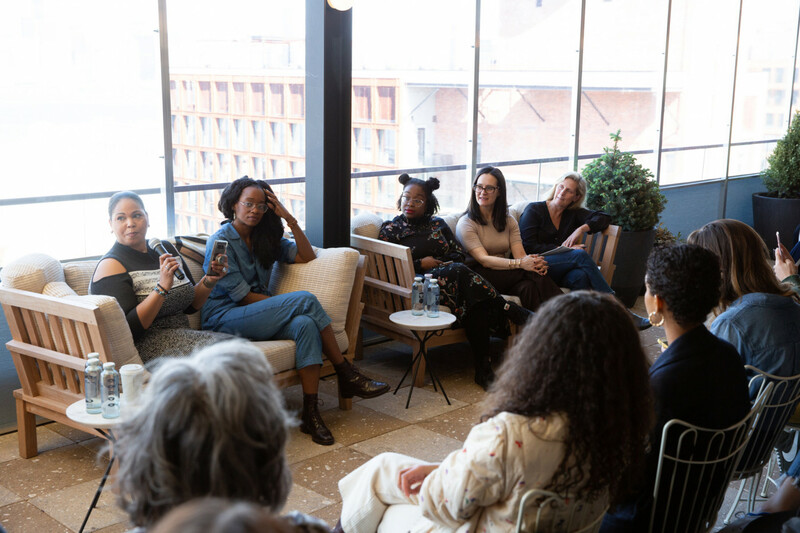 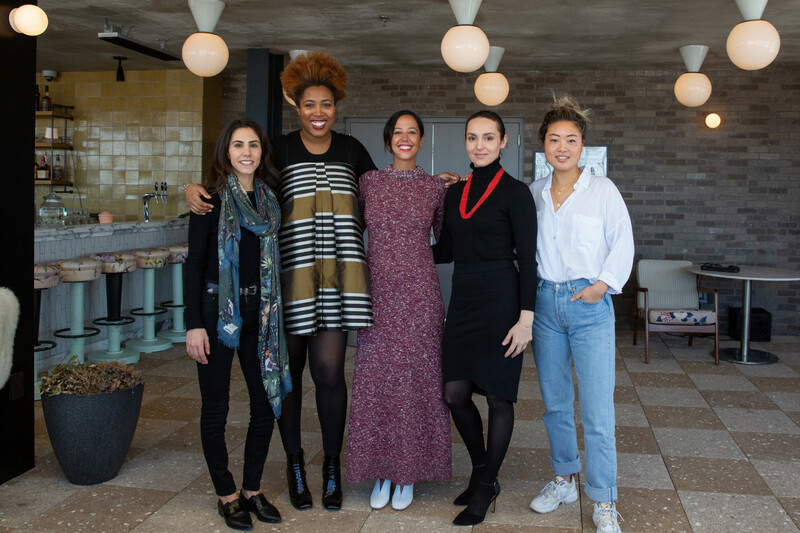 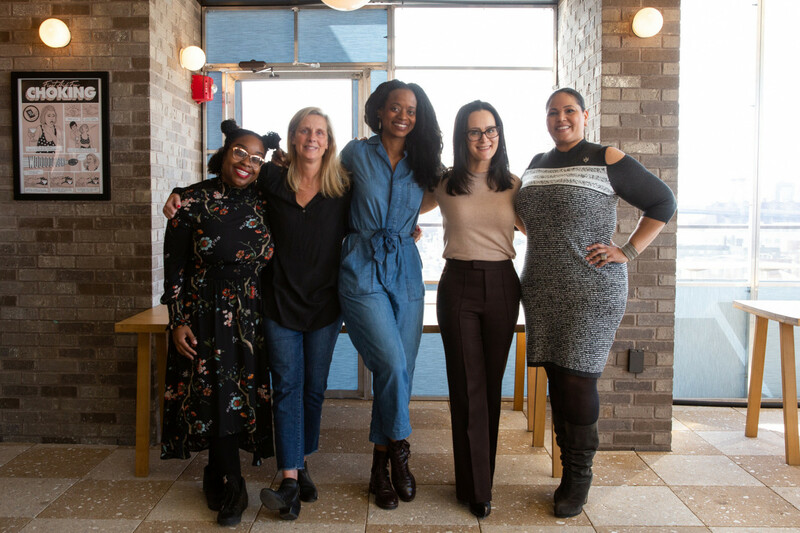 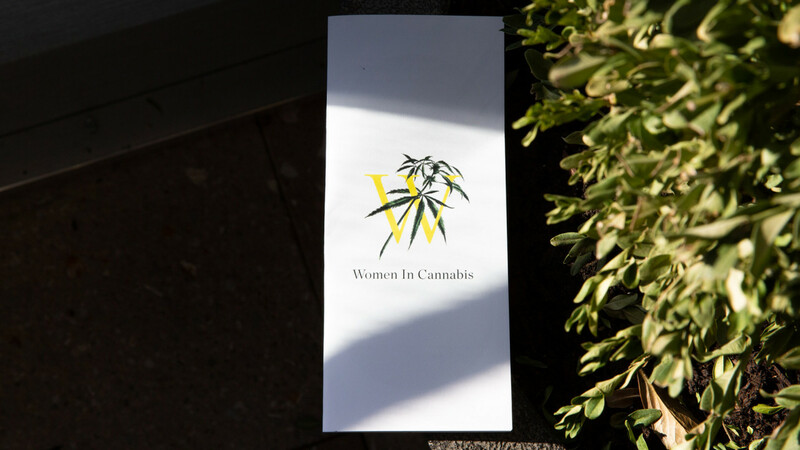 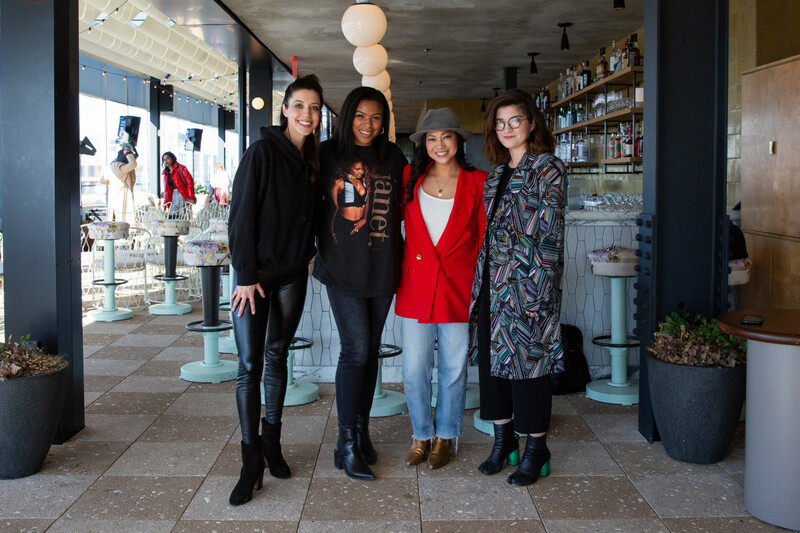 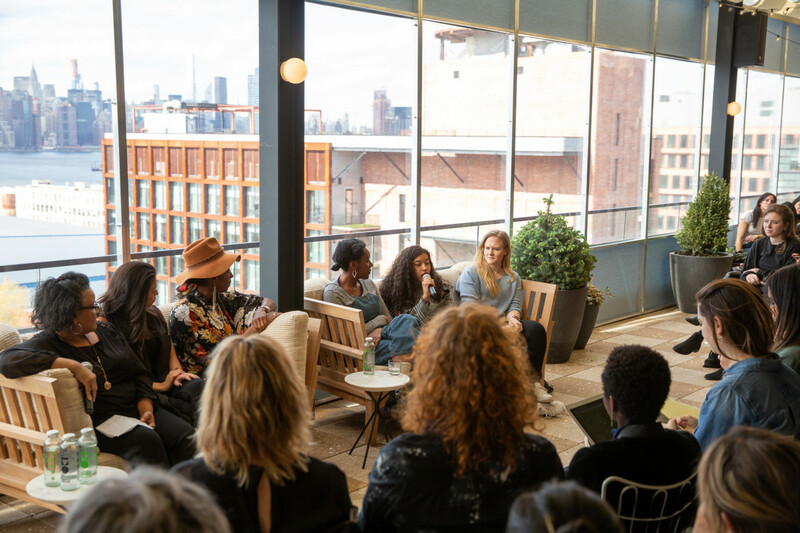 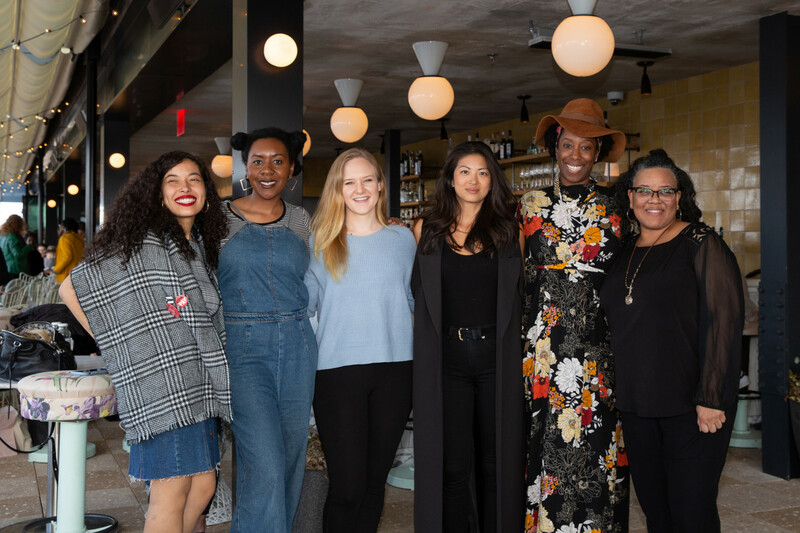 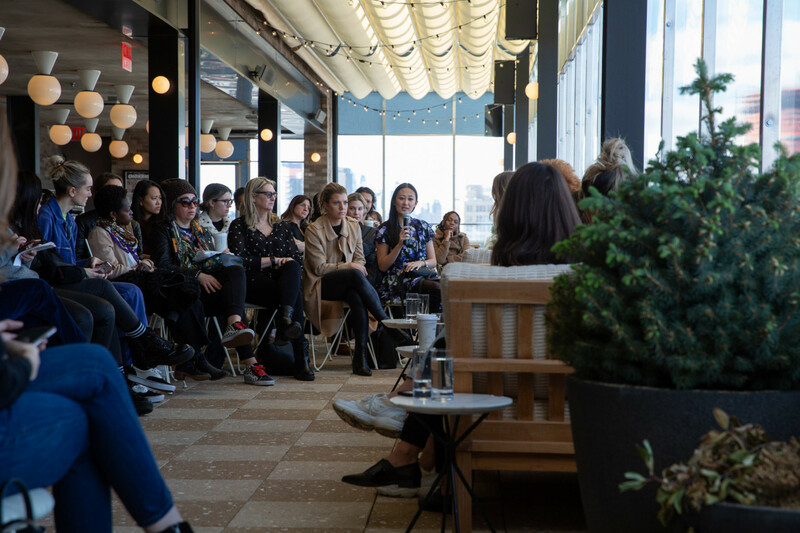 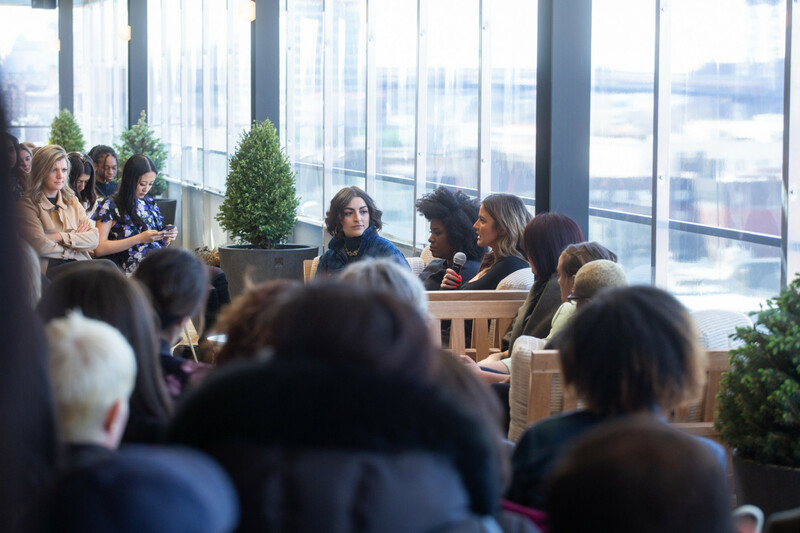 We’re still buzzing (no pun intended) from the group of inspiring women who spoke, participated, and attended this weekend, and we can’t wait for the world tour.